The Canadian is hoping that EF Education First will select him for its eight-rider Tour de France squad. 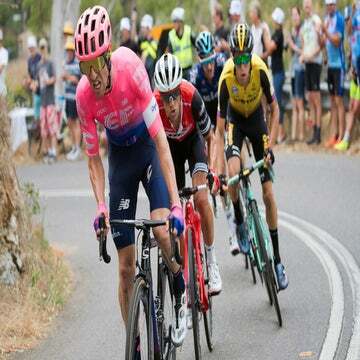 ADELAIDE, Australia (VN) — Michael Woods didn’t start racing professionally until he was 25, but even as a teenaged running prodigy, he was already dreaming of racing at the Tour de France. After confirming his WorldTour credentials with a breakout season in 2018, he’s hoping those dreams will come true this summer. After notching world championship and monument podiums in 2018, along with an emotional stage win at the Vuelta a España, Woods is ready to step onto cycling’s biggest stage. The EF Education First rider gladly admits he will be a rung or two lower in the pecking order if he can earn a berth on the eight-man Tour roster. EF will bring a solid team with 2017 runner-up Rigoberto Urán and two-time top-5 finisher Tejay van Garderen. Ever the realist, Woods says he would be more than happy to be on domestique duty in order to get his first peek at cycling’s big show. “I understand how it’s going to be. I will be the guy getting water bottles if I have to,” Woods said. “I realize that with Rigo and Tejay, with both of them being such experienced Tour riders, we have to make a roster that suits those guys. The fact that Woods is already angling for a Tour de France starting spot reveals just how far he’s come since his WorldTour debut in 2016. 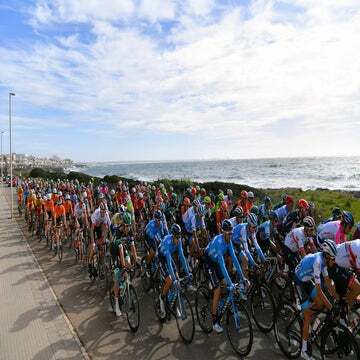 The Canadian’s first WorldTour race came here, three years ago in the southern hemisphere. He snagged two podium finishes and took fifth overall in that race. The encouraging results provided the first real hint that Woods could thrive at the WorldTour level. He’s since gone from one personal milestone to another, raising the bar and surpassing personal expectations year after year. A possible run at the Tour is just part of what Woods hopes will be further extension of his tremendous evolution since he swapped out running shoes as a middle-distance runner for cycling cleats barely a decade ago. Coming into this season, the Canadian’s confidence is flying high after winning his first WorldTour race with a stage at the Vuelta a España and scoring prestigious podiums at Liège-Bastogne-Liège and the world championships. Making his season debut this week at the Santos Tour Down Under, Woods is setting his sights on more. After three highly successful and progressively better seasons at the WorldTour, it’s all about execution in 2019. 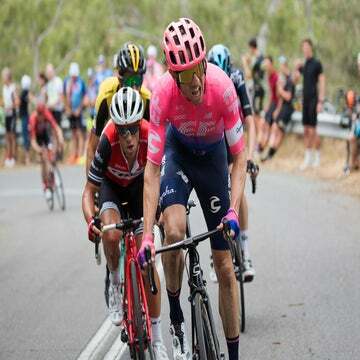 Woods came to Australia a few weeks ago to train in the warm weather and will stay here through the Cadel Evans Great Ocean Road Race and the Herald Sun Tour in early February. His European debut might not come until the Volta a Catalunya and the Tour of the Basque Country before heading back to the Ardennes. After falling ill during the Giro d’Italia last year, Woods discovered he’s susceptible to seasonal allergies in Italy, so he will not race the corsa rosa. Without the Giro in the cards, Woods is hopeful his summer will include a ticket to the Tour. After four grand tours — twice each in the Vuelta and Giro — Woods is keen to see the Tour. So far, Woods has been realizing those dreams every pedal stroke along the way. The Tour is simply the next step in his remarkable evolution. Will the team bring him? That’s TBD.